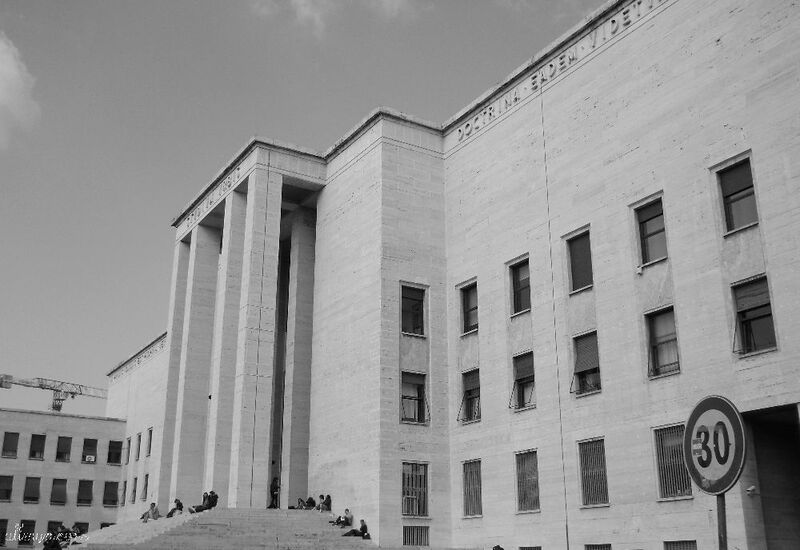 Some buildings on the campus of the Università di Sapienza in Rome, Italy. 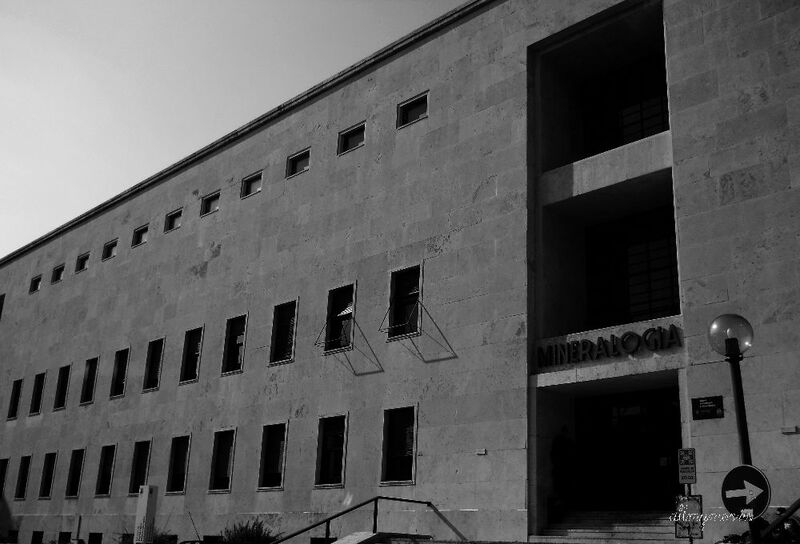 They were built during the fascist era in Italy in the 30s. As I mentioned a couple days (weeks?) 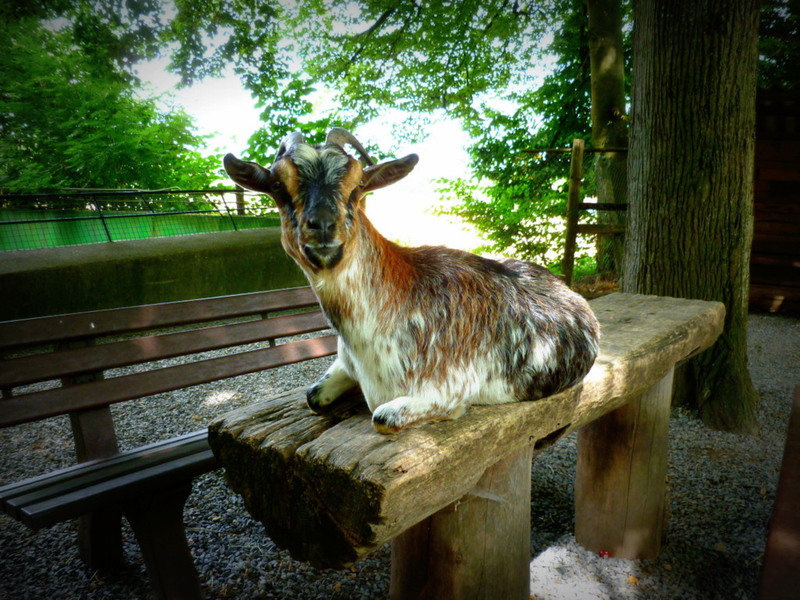 ago, I spent a day at an organic farm recently. They had a brunch buffet in their barn and then showed everybody around their farm and explained what they do and what it means to be produce organically. 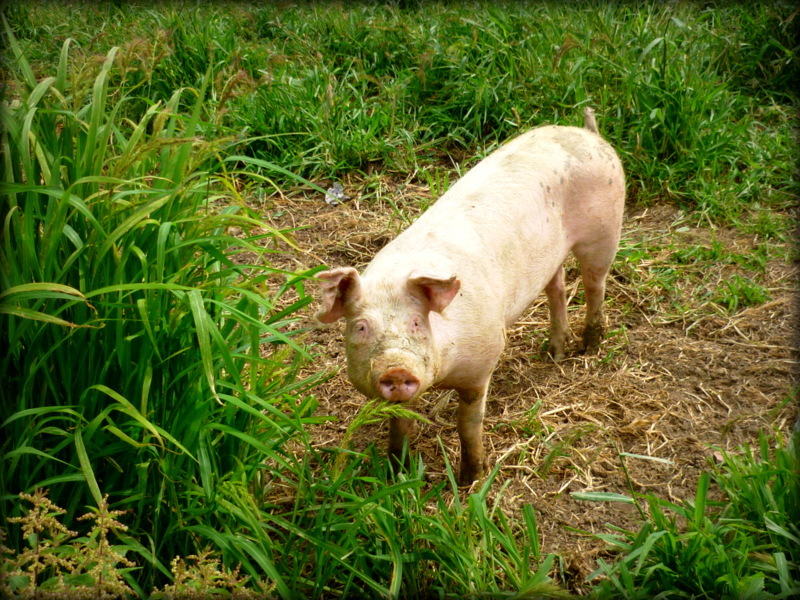 The beautiful pig you see above spends a lovely 7 or 8 months with his family before being…well, slaughtered, and turned into organic meat. Since I’m a vegetarian, it still makes me cringe a little, but it’s good to know that these animals had a good life before their untimely end. Pigs love mud! Take note of the beautiful pig tails on these animals. 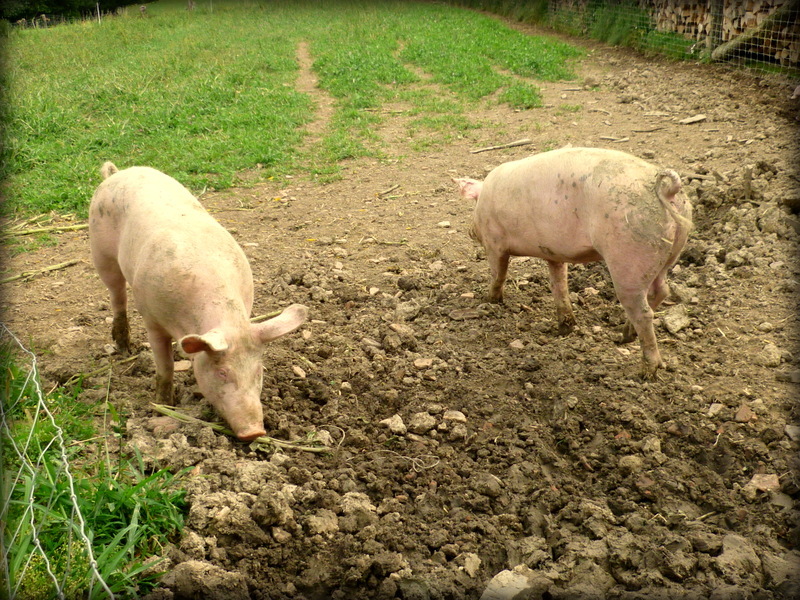 On conventional pig farms, they are either removed or the other pigs take a bite out of them for lack of space. 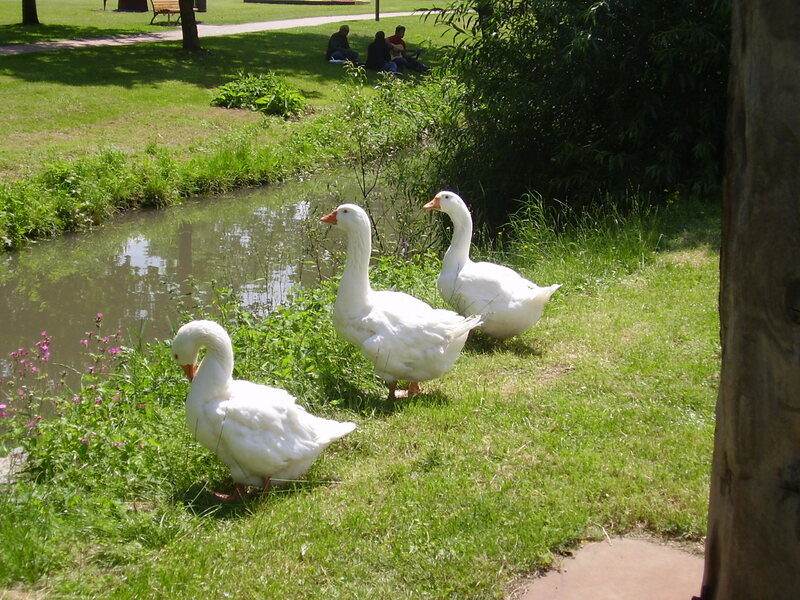 Another perk that comes with organic food is that it doesn’t have as many antibiotics. On conventional farms, animals are basically kept barely alive and on heavy medication throughout their very short life span. The kind of chicken that is raised for meat actually couldn’t even get much older even if it were allowed to do so, because it has been genetically engineered to put on so much weight that it would soon become too much for its bone structure to carry. 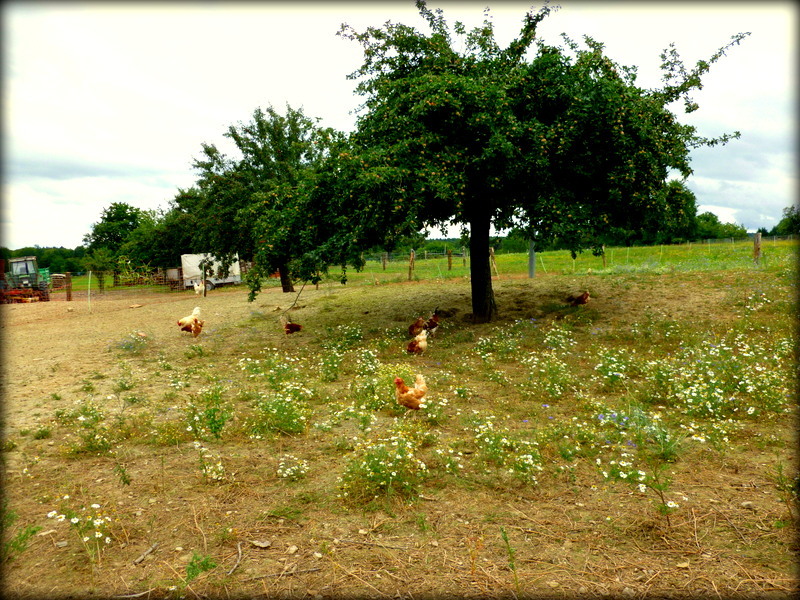 The farm I was on only raises chickens for eggs, and what you see here is part of the outdoor area the birds can access. 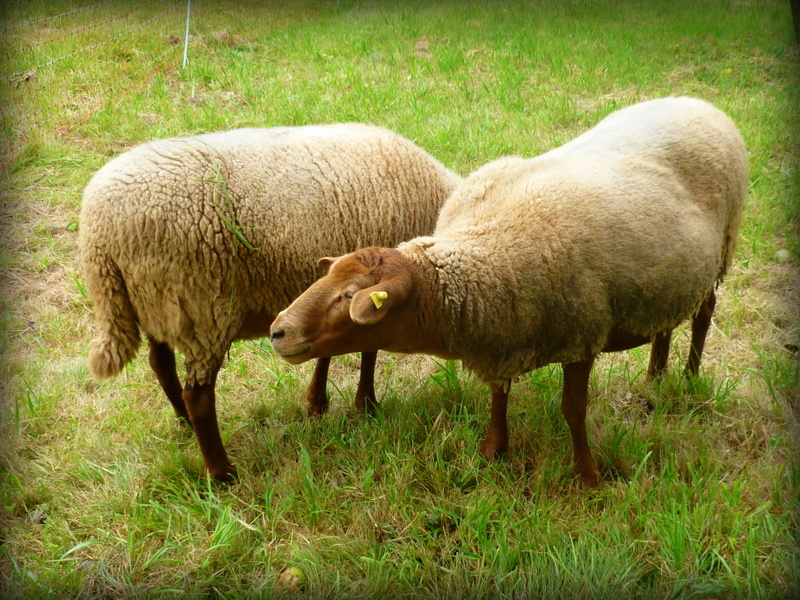 They also have some cows for meat and a couple sheep that function as lawn mowers. If you’re interested in learning more about meat processing and food processing in general, check out Jonathan Safran Foer’s “Eating Animals.” It is nicely written and mixes an engrossing personal approach with well-researched facts. There is also a number of movies from the last decade or so that deal with these issues, like We feed the World, Food Inc., Our Daily Bread, and others. The information you will get isn’ t always easy to digest, but it’s worthwhile knowing where your food came from. P.S. If any of you have been sweating as much as I have these last days, let it be known that meat production is the number one cause for environmental problems. I picked the picture above for two reasons. One of them is that I really like medieval art and the many creative ways it depicts the brutal, the disgusting, and the abnormal – for the last, Hieronymus Bosch is one of my favorites. He actually made a painting titled “The Temptation of Saint Anthony”, BUT virtuoso that he is, he managed to include an overweight guy riding on a fish with a chick while holding some kind of lantern in his hand. Dude’s got a great hat, too. I mean, what’s not to love? The dadaists could have learned a lot from him. In fact, they probably did. However, I am losing my train of thought, just like Bosch probably did when he was painting that picture. The second reason why I picked this picture is that I have to write A LOT of papers during my break and I am seriously in pain being hot and sticky all day in front of my computer. 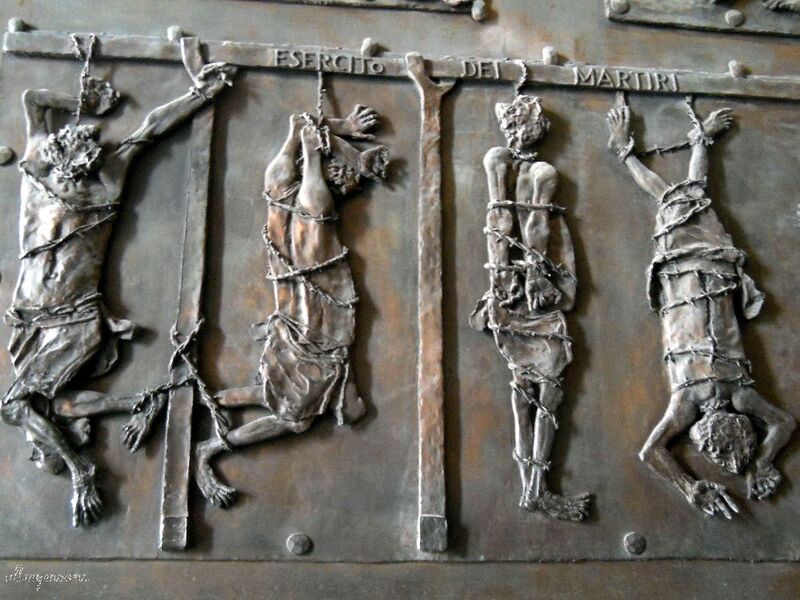 But unfortunately, no artist will ever include me in a bronze relief with lovingly detailed spikes, distorted limbs, and faces crumpled in agony. I complain too much. The solution is obviously to stop lamenting my dire plight on earth, and adopt a more positive outlook on things. It doesn’t matter that I won’t have a life for 2 months. I should look at my laborious efforts as the path to the sacred temples of knowledge. 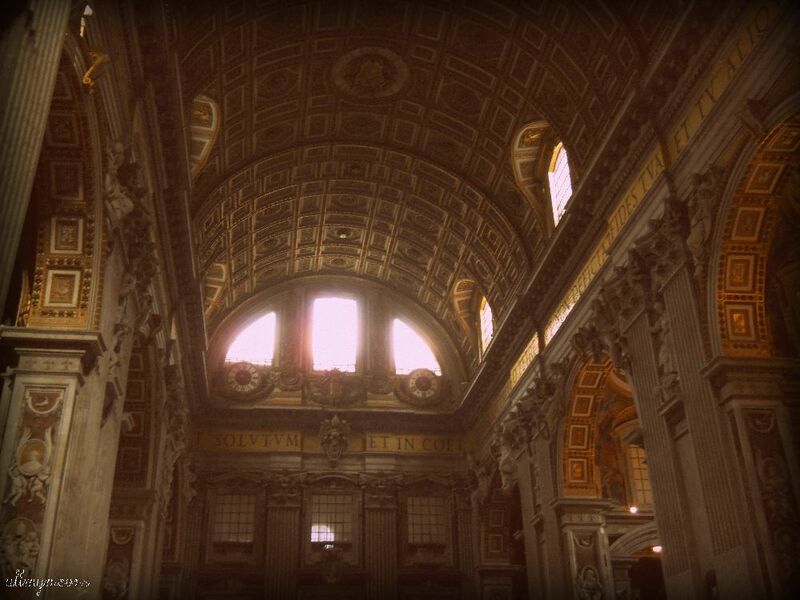 In case you’re wondering, the picture below is from the Vatican, best known for having the most functional mail system in Italy. Seriously, postcards mailed from the Vatican State will arrive like two days earlier than those mailed from Rome. 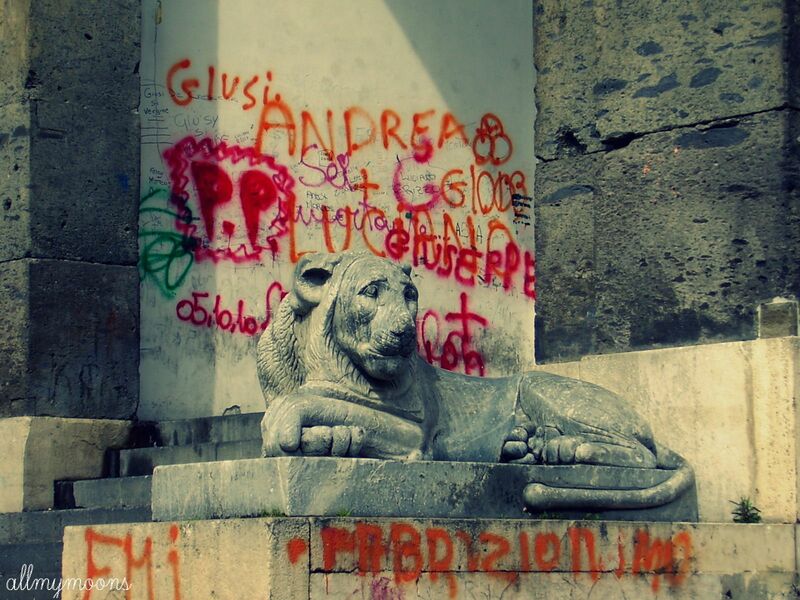 What I really love about Naples, Italy, is that it is a city incredibly rich in history: it begins as a Greek colony in antiquity and goes through centuries of occupation that have left their marks everywhere. 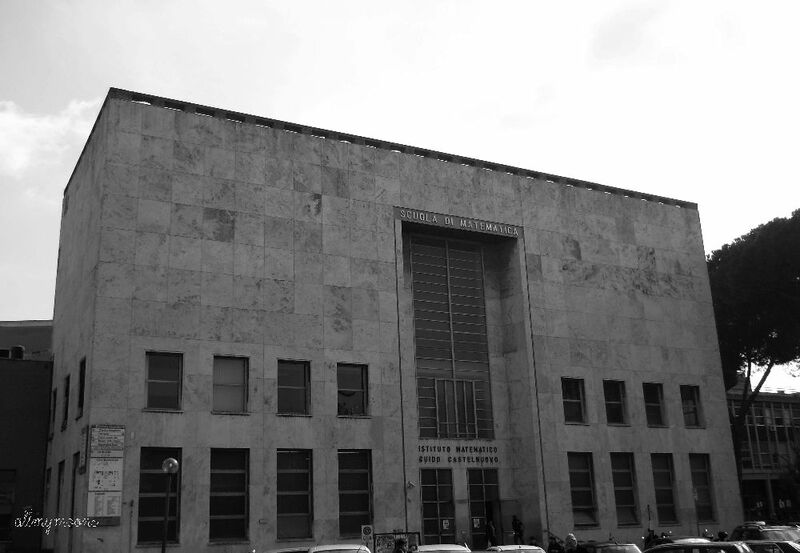 Today, Naples is struggling with the poverty and corruption that are common in the south of Italy, unfortunately. Naples has gained dubious publicity through the mountains of trash that rise up on its streets when the mafia-controlled garbage collection decides to punish the Napoletani to get whatever it is they want. I haven’t been following what has been going on in Naples lately, but last thing I heard, things were picking up a little and a promising new mayor was introducing some changes. Let’s hope for the best: Naples is an amazingly beautiful city, and it needs somebody who will take care of the archeological treasures unearthed every time a new construction site opens. I don’t actually mind the graffiti in the picture above. Although they looked out of place to me at first, I think they show really well how past and present clash in Naples. Speaking of fairy tales, wouldn’t this be the perfect tower for a witch to imprison an unfortunate princess in? 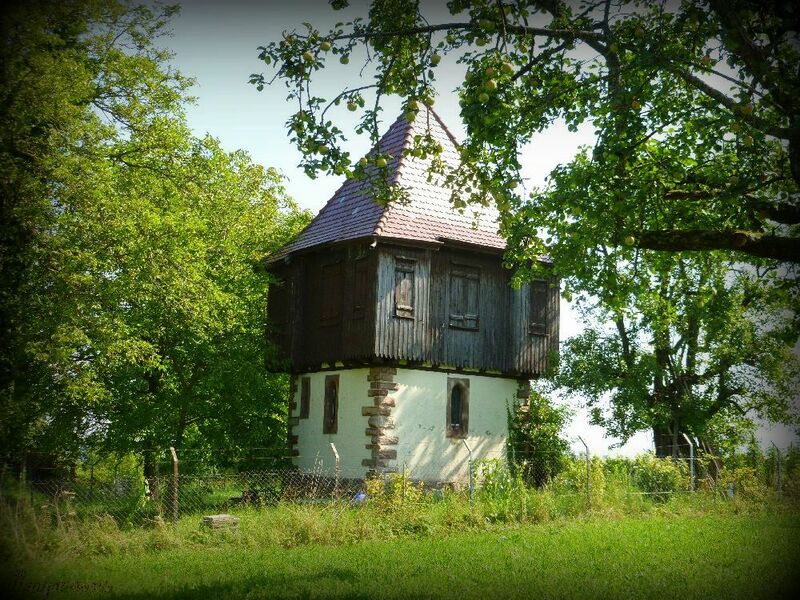 A friend and I found this little tower when we were out riding our bikes through the vineyards. This was my last day of vacation for now. Actually, I should already have started on my term papers about 4 hours ago. Wouldn’t it be great to have one of those time-reversers that Hermione gets from Dumbledore in Harry Potter? I know these pictures aren’t really state of the art, but my overactive mind couldn’t help imagine fairy tales to go along with the images. 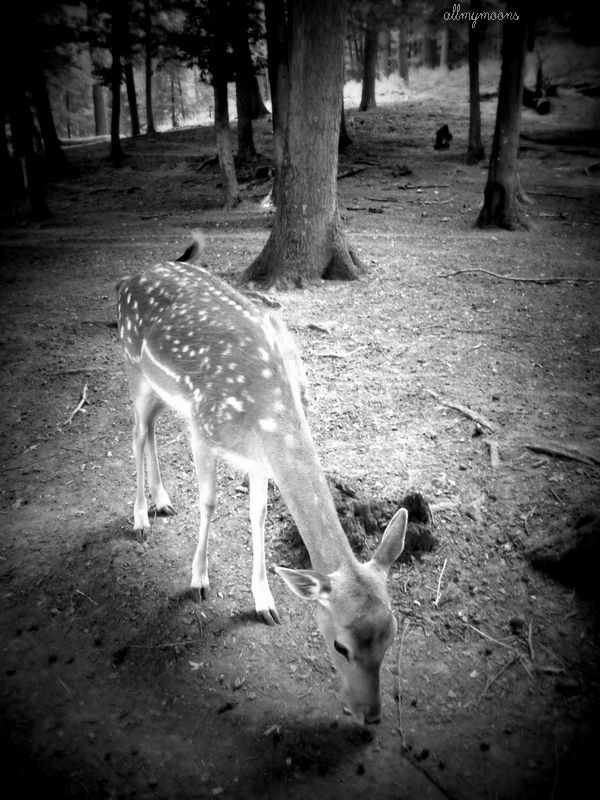 I met this beautiful deer when I spent a day out in the country with my family. 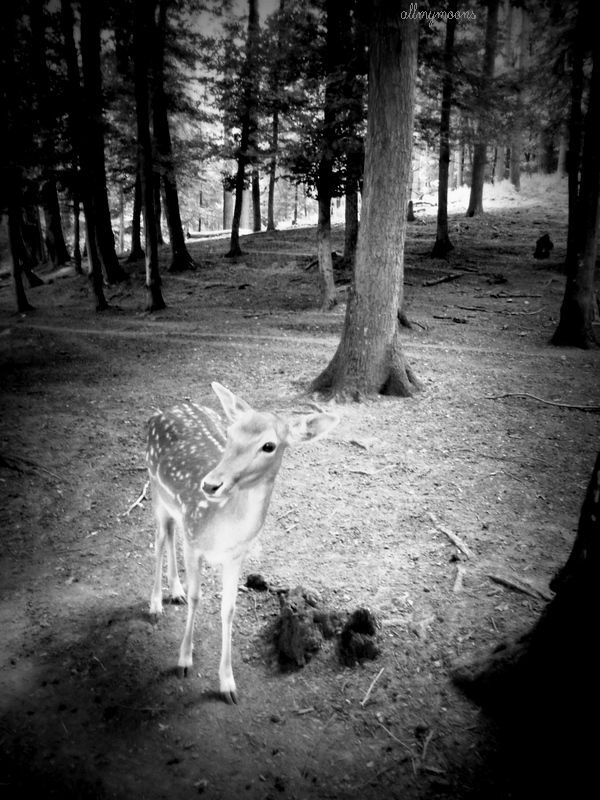 Bambi was not very shy. 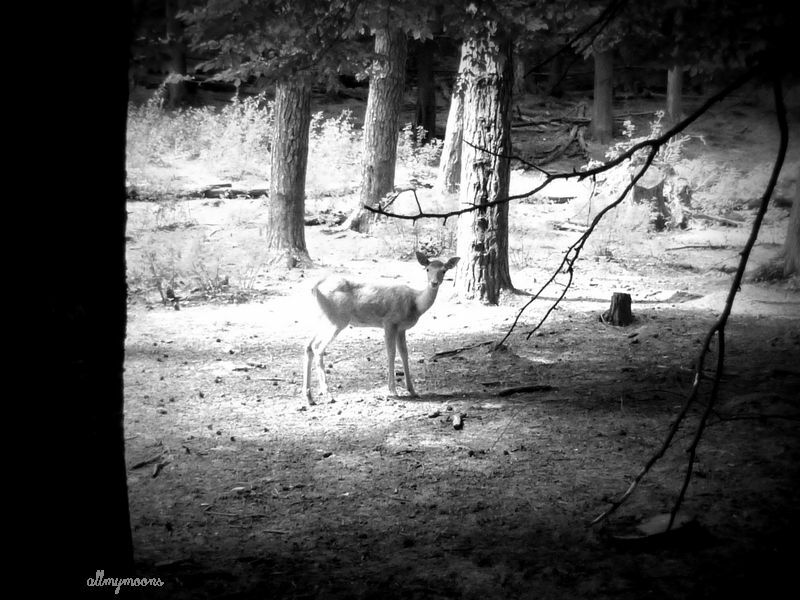 I could even pet him…or rather her, I guess, because she doesn’t have antlers. It’s lucky we have those Disney movies to educate us. Deers are really graceful creatures with their long necks and legs and those big, warm eyes. I love the way they look at you from a distance with their ears pricked towards you, like in the first picture. It looks even better when the whole herd is doing it in unison. They have got that move perfectly synchronized. But seriously, it was a great Sunday trip to the country with some interesting sights.There’s nothing more refreshing for me than to get away from computer screens, books, coffee, and traffic, and breathe some musky forest air. Somehow the air in the woods smells green, and brown, and rich.